Tag: How Do I Pick my Next Book? I am definitely having one of those weeks. You know, the one where I’m playing catch up with my ARC commitments, my library books are expiring, I’ve gotten a few (ok 7!) 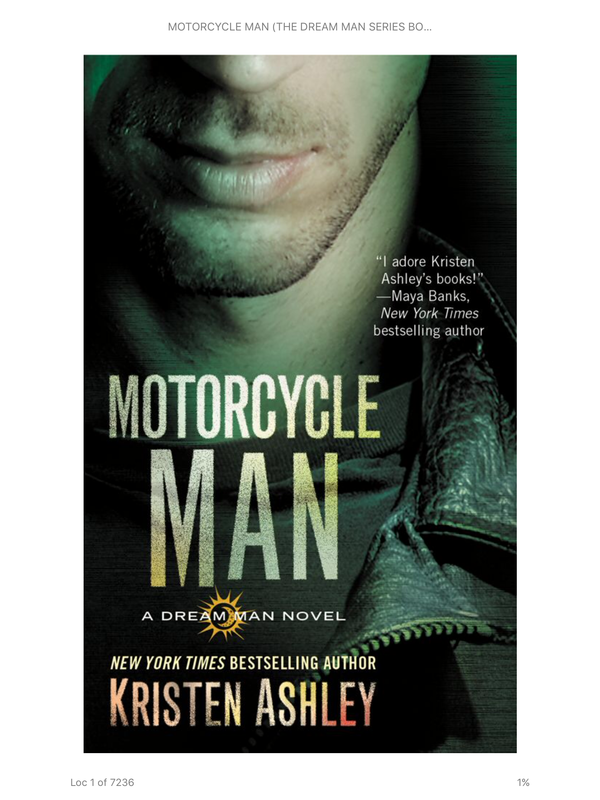 Kindle Unlimited books that are taking up valuable real estate on my kindle, AND I just took a short road trip and saw a ton of Harley riding men and women that had me jonesing to re-read one of my favorite books (Motorcycle Man by Kristen Ashley). Big run on sentence so sorry about that, but whew! How, oh how do I pick out my next book??? Normally, I have a system. Check NetGalley and emails for my ARC commitments. Right now I have an ARC a week that I need to read, then two for 7/4 releases. Luckily I’m a fast reader. But knowing I have three days to read and write the review, i have a slight reprieve so on to the next step. 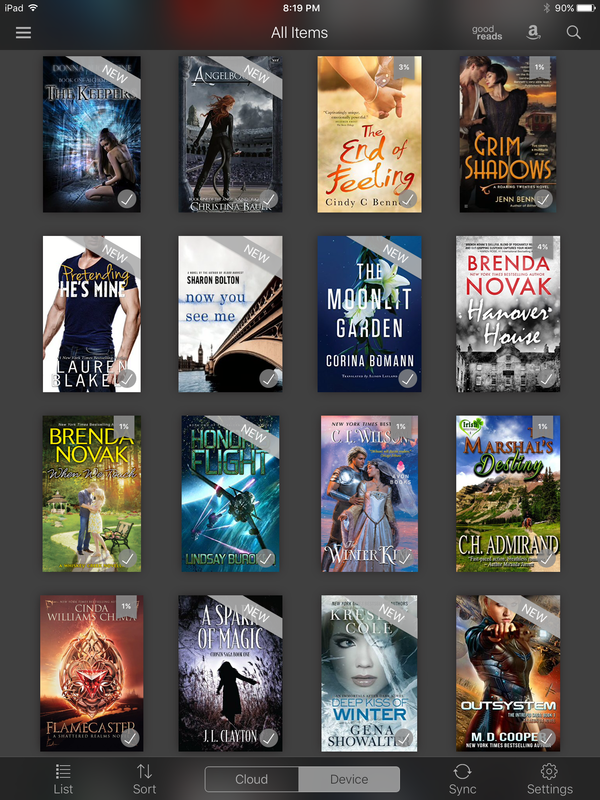 When does my next book expire on Overdrive? If it’s soon, I may need to read it. Does everyone know about The Overdrive app? If not, You Are Missing Out! It was my best discovery ever! 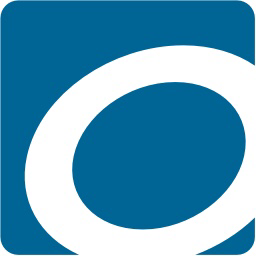 You can check out ebooks from your library through this app. Instantly! Also, I can recommend to my library, through the app, to purchase certain books. If they purchase it, and 80% of the time they do, they’ll put me in line for it, or if no one else is in line I’ll get an automatic checkout. You can check out 10 books at a time, have 20 on hold, and this includes pre-release books, and you can keep a wishlist of all the books you still want to read. A library TBR. Like I need another one, right? So, of course as I’m reading your reviews and finding all sorts of books that sound great because YOU liked them, I put them on my wishlist so I can look at them again later and then possibly read. Next I peruse my bookshelves and look at the physical specimens that I brought home from the RT Convention. My sister and I combined our shelves and they are filled with over 200 books. Some of which are actually ARCs themselves. Yikes! There are some great books on these shelves! Then I look at my kindle. Yep, it’s filled with purchases, free copies, and more RT Convention giveaways. I think my last count was around 180. Oh, and don’t forget about those Kindle Unlimited books. They don’t expire, but I put a small amount of pressure on myself to actually read what I’ve purchased. More great books to read, but when?! 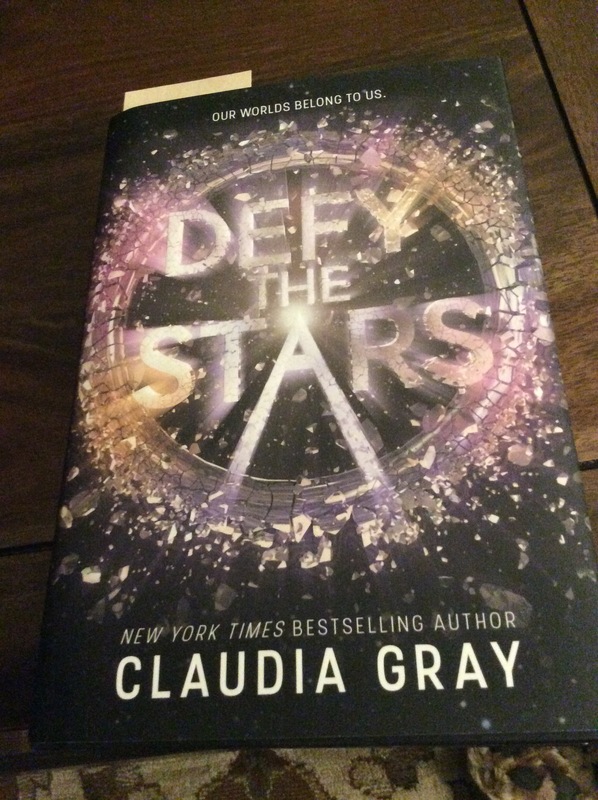 Last, I look at my Hardback copy of Defy the Stars by Claudia Gray. It’s Donna (heronthereeverywhere), Sarah (Travels with Choppy) and my Blog Book Club pick for the month. It looks good, right? I still have until 6/15. I’m a fast reader, right? I’ve gone through these steps multiple times. Which book is next?!! Eeeny Meeny Miney Moe! I’d love to hear about your strategy for picking out your next book! What catches your eye? Is it the deadline? Cover? Favorite author?